As bicycle maker, Lennard Zinn once said: "Be at one with the universe. If you can't do that, at least be at one with your bike." Riding a bike is a rite of passage. You learn to walk, and then eventually you learn to ride a bike. For many, cycling is one of the greatest ways to de-stress and gain a sense of freedom that is incomparable. With the wind in your hair, you soar along footpaths and down streets at three times the speed of people on foot, and it is the closest thing to flying that most people will ever experience. Cycling is a healthy pursuit, which is exactly what Ray Hamilton's The Joy of Running intends to prove to readers. This pocket-sized hardcover book is the perfect read for anyone with an affinity for putting the pedal to the metal on their bike, and even for those who avoid cycling at all cost, but want to find some inspiration. 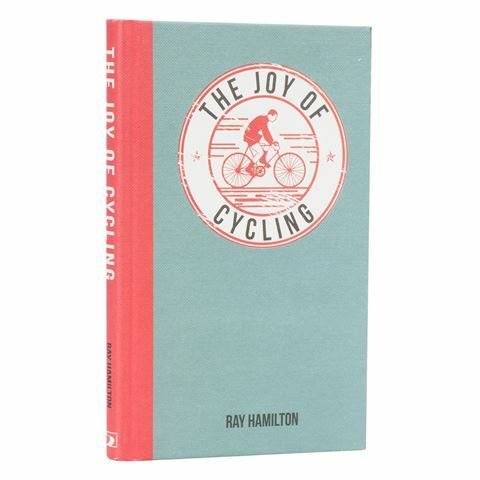 It's filled with captivating stories, facts, handy hints and quotes from people within the world of cycling, and features wonderful illustrations throughout to captivate and entertain readers. The compact size of the book also means you can throw this book inside your gym bag or backpack, so you have it on hand in those moments when you're looking for some motivation. Features captivating stories, facts, handy hints and quotes from the world of cycling. Compact size makes it perfect for carrying in your bag.